At Trade Tested you can now get 12 months no payments and interest free finance on purchases over $500 with Q Card. If you don't already have a Q Card, apply for pre-approval with Q Mastercard® and take advantage of our great interest free offers today. How do I apply for a Q Mastercard, so I can get 12 months no payments and no interest? If you don't already have a Q Card: Apply at home by clicking 'Interest Free Finance' in our website footer. Once approved simply give your drivers license details our the phone and we can process the transaction. Current Q Cardholders: Simply give your Q Mastercard or Q Card details to us over the phone and we will process the transaction. What fees will I be charged by Q Card? Finance only available over the phone, not available online or in store. 12 months no payments and no interest ("Payment Holiday") is available on phone purchases $500 and over on Q Card Flexi Payment Plans. Annual Account fee of $50 applies. 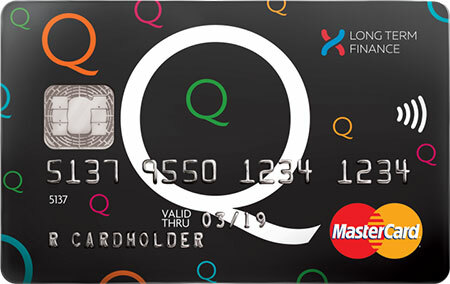 New Q Cardholder fees - $55 Establishment and $3 PPSR. Existing Q Cardholder fee - $35 Advance. Q Card Standard Interest Rate, currently 25.25% p.a., applies to any outstanding balance at end of Payment Holiday. Offer is ongoing. Q Card lending criteria, fees, terms and conditions apply. Rate and fees correct as at date of publication, subject to change. For more information about Q Mastercard Fees, visit qmastercard.co.nz/things-to-know. If I need help completing the online application form, who can I call?